Carol #blacklivesmatter,#womenslives the test for those who think they arent privileged. Donald Trump is about to be inaugurated this morning, and I find it incredibly worrisome! I find his choices for Cabinet members worrisome. How did we get here? I think it is because of some people in White America who don’t understand how privileged they really are, even though they think they aren’t. So I think it is important for those of us who are white to take this privilege test so we can understand better exactly what privilege is for ourselves! 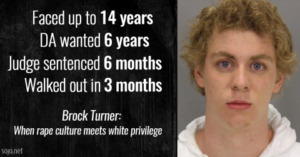 So, How much Privilege do you really have?